A quiet week. Seems like the entire world headed off on half-term holidays, not just schools. General election fatigue? The election has also meant that planned briefings this and next week at The D Group or BEI have largely been kiboshed. Save for one. Our associated research group, BFPG (British Foreign Policy Group) held a seminar today in Birmingham co-hosted with Birmingham City University, as part of its program to raise nationwide awareness of and debate about the UK’s foreign policy options. Punchy contributions from all there, included senior Conservative, Lib Dem and Labour representatives (Crispin Blunt, Baroness Smith & Geoff Hoon). See www.bfpg.co.uk for more detail. 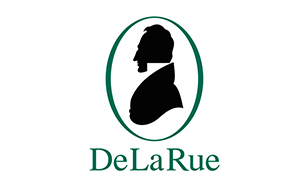 Whilst Strategy briefings may have been thin on the ground, the annual event that is a masterclass in how to deliver an exceptional and perfectly pitched evening, the De La Rue annual diplomatic dinner, took place last night. Company staff, en masse, hosted UK business, government and pretty well the bulk of the foreign diplomatic corps in London and they did so in a way that really conveys the mix of tradition, modernity and the exceptional service ethos of this great company. * agreed a special briefing event for a member with senior NHS and UK health sector leadership. All of which underline our core proposition; by being a member, our account directors will use our reach and mine our networks to help you gain business-critical insights, connect to people, and zero in on opportunities in a highly time- and cost-efficient way. It's very measurable ROI. A timely point to direct you to the very latest brochure "Membership Explained". Perhaps not the raciest of reads but, we venture to say, more reliable than a party manifesto. Click here to view. The next newsletter will come the Monday after a new government is elected and we will publish a special commentary on the immediate economic implications.